More practices were canceled on Friday due to the normal warm temperatures in Sochi, Russia. The first ski cross training session, scheduled at 2:30PM Sochi time, was canceled because the temperatures reached 59°F. The outside events occur at the Rosa Khutor Extreme Park in the Caucasus Mountains. “Given the high temperatures and thermal stress on the SX (ski cross) course, it is not wise to train today,” FIS race director Joseph Fitzgerald said in a statement. 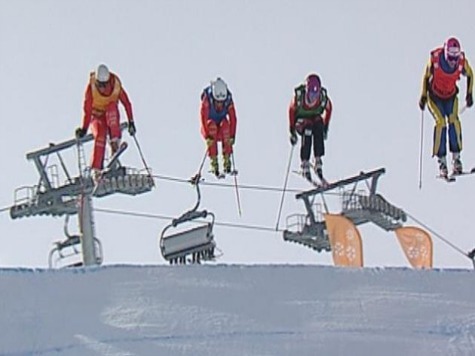 The men’s aerials training was canceled on Thursday to allow the women to practice. Their afternoon practice was moved to the evening after temperatures reached 64F and their competition starts on Friday. “The ladies were scheduled to practice this afternoon but in (temperatures of) plus 14 (degrees Celsius) we can’t get the snow to get hard,” Joe Fitzgerald of the International Ski Federation (FIS) told Reuters. “The snow only gets hard after dark. The men have two full days of practice before their competition so we have to prioritize the women. On Thursday, athletes and volunteers shed their clothes due to the warm weather. Cross-country skiers competed in short sleeves and tank tops. A few of them collapsed in the snow after the finish line and used it to cool off. Women’s downhill practice was canceled on Tuesday due to warm weather. US speed skater Patrick Meek said the humidity from the Black Sea does not allow for fast times. US skier Bode Miller said the hill was ice when he practiced, but the warm weather caused the snow to turn to slush on Sunday when he competed. He was not the only one who pointed out the weather was dangerous. The halfpipe skiing training session scheduled on Saturday is canceled, but will continue on Sunday.